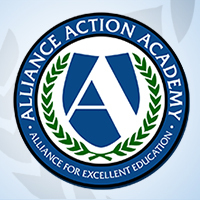 The mission of the Alliance for Excellent Education is to promote high school transformation to make it possible for every child to graduate prepared for postsecondary learning and success in life. Every child a high school graduate, prepared for success. That is the bedrock principle that drives the Alliance for Excellent Education (All4Ed), a Washington, DC–based national nonprofit committed to improving the educational outcomes—and lives—of high school students, especially those underperforming and those historically underserved. From Latino and African American students in the nation’s largest cities to economically disadvantaged white students in rural areas to homeless students and others who frequently slip through the cracks, All4Ed stands for diversity, equity, and inclusion and advocates on behalf of all students who are underperforming, historically underserved, or discriminated against because of their race, ethnicity, culture, class, sexual orientation, gender identity, or mental and physical abilities. Currently, the potential of too many of these students goes unrecognized and unrealized. Because these students make up more than half of the nation’s K–12 population, focusing attention and change on their educational needs provides a tremendous opportunity not only to improve individual lives but also to reinvigorate local communities, break the cycle of intergenerational poverty, promote social mobility, and close the large opportunity gap separating so many Americans. To reach this goal, All4Ed strives to improve thousands of low-performing high schools while simultaneously supporting high expectations, innovation, and school system redesign. 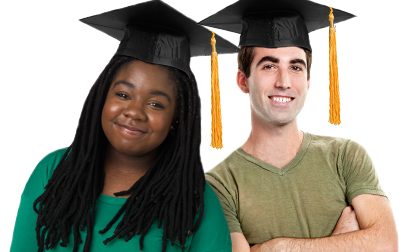 The heart of its work focuses on ensuring all students enjoy a high school experience that allows them to identify and build on passions, strengths, and interests while receiving the comprehensive support they need to develop the academic knowledge and deeper learning skills necessary for success in postsecondary education, training, a career, and life. Download this one-pager overview to see how All4Ed integrates its three key strategies of policy and advocacy, practice, and partnerships to ensure all students receive a high school experience that prepares them for college and a career.